Esports is a hot topic (and big business) right now, but it’s still arguably in its infancy and there are misconceptions surrounding it. Esports, also known as electronic sports, is competitive video gaming. People play against each other online and at spectator events in indoor arenas, usually for cash prizes. Prize pools vary from a few hundred or thousand pounds at the amateur level to $20m+ at the top global tournament. Matches are usually broadcast online over the internet, and the best players, like professional sports athletes, are contracted and paid a salary to compete. Despite the name, to us at the British Esports Association, it’s not a sport. It’s a game, like chess for example, and one that is a credible activity that has lots of intrinsic positives including cognitive benefits. Unfortunately, Britain has been behind other regions in esports – such as Asia and North America – for quite some time. To help tackle this, we are focusing on the grassroots. To help foster future British esports talent, and to increase awareness of esports with parents, children, teachers, the media and government, we held a one-month children’s club pilot scheme at Maida Vale Library. The idea was to bring in 10 different children each week from local schools, aged 8 to 14, and give them a two-hour taster session on esports, including the careers available and the skills it can develop. 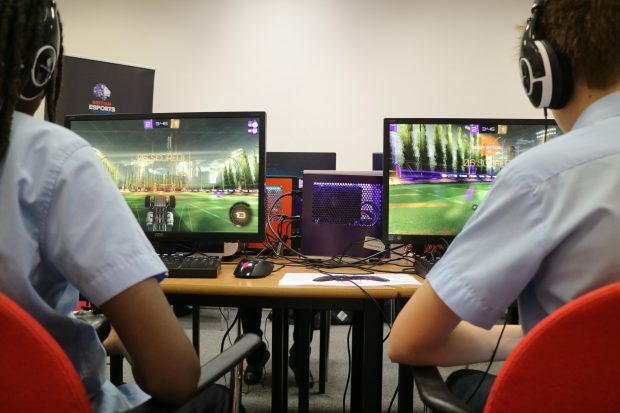 The training club featured games of Rocket League (football with cars), as well as sessions on esports coaching, commentating and journalism, followed by a Q&A. The pilot was a real success. We had lots of volunteers wanting to take part in this, as well as professional esports casters (aka commentators) showing the children how to cast. More children and parents signed up than space would allow, showing there is real demand for more regular clubs at other libraries and schools in the future. It also secured national and specialist press coverage, from the likes of the Evening Standard, Sky and Esports Insider. Most importantly, I was excited to see children so engaged with an activity in a library. They really got into it, excitingly issuing instructions to one another and working as a team to win. By the end of each session, the quieter children had really come out of their shells and were communicating and enjoying themselves. Children and organisers identified several benefits and skills that the esports pilot promoted, including strategic thinking, teamwork, communication, leadership, performance skills and confidence. These skills are transferable and can benefit children in other areas, such as schoolwork, physical sports and general wellbeing. We chose to work with Westminster City Council on this project as they are forward-thinking and keen to try new, exciting, digital initiatives to better attract young people to libraries, as are we. Libraries can be fantastic community hubs, but they sometimes find it hard to attract that older child/teenager demographic, which hopefully esports can help pull in. 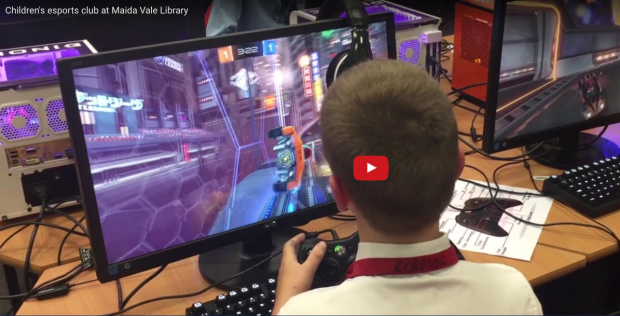 We are now working with Westminster libraries to extend this pilot to a more regular club in the area, and eventually we hope to run children’s esports leagues between different libraries nationwide. For further information on the esports library pilot scheme for children, please read our full PDF report. You can also view more images and watch the event recap video. Cinegi Arts&Film – the library as a cinema?